Boasts Beefed up 2.25" Tubing, a Standard of the Pro Series Line. Available in Bone White Powder Coat or Bright Dipped Anodized for Maximum Corrosion Resistance. Pro Series Line is Ideal for Off Shore Fishing and the Leaning Post Fits Perfectly Underneath the Pro Series T-Top. Flip Down Foot Rest That Provides Added Support. Satisfaction 100% guaranteed! If you don't love it, we want it back. Experienced anglers know that a leaning post is the best helm seating option on a fishing boat. Unlike regular seats, leaning posts let you either sit or stand at the helm, provides easy access when you need to get to and from the rods quickly, and can support a number of accessories that are helpful for fishing. And if all of those things sound appealing, you’ll be interested in checking out our Fishmaster Pro Series Leaning Post, which comes fully rigged and ready for serious fishing action right out of the box. OEM Styling to Perfectly Complement the Pro Series T-Top. The Pro Series Leaning Post is available in two options: Grab Rail or Deluxe Backrest. Both are made to fit between the side supports of the Pro Series T-Top and also come in white or polished. The Pro Series Leaning Post features a seat-bottom that is contoured like an automotive seat, with 2.75-inch thick foam in the center and 4-inch thick foam on the wings. The key difference between the two is that the Deluxe Backrest comes with three 316 grade stainless steel cup holders and four rod holders. 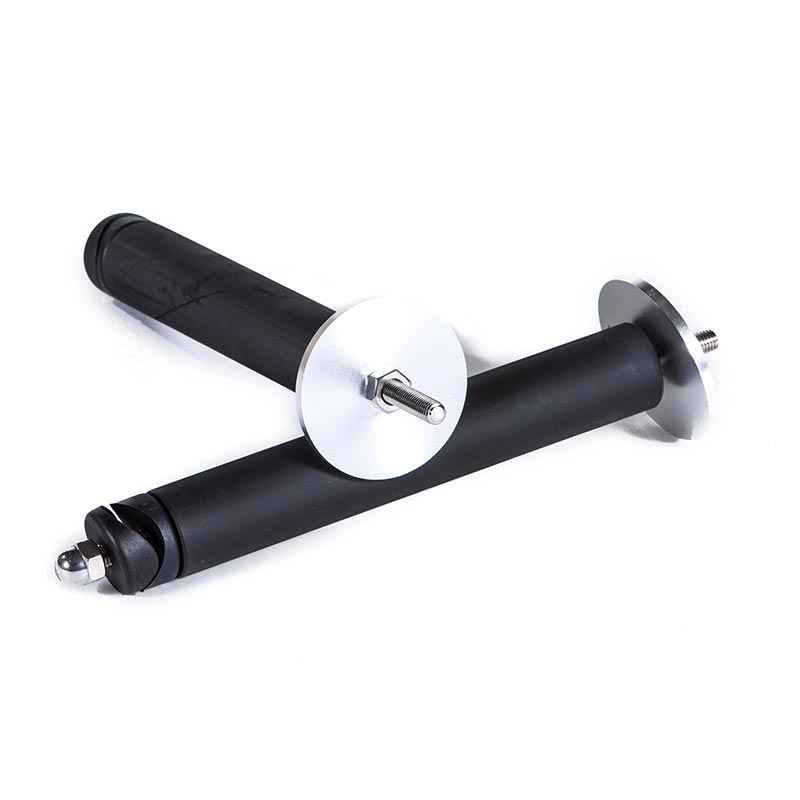 The rod holders have gimbaled pins to hold and index your favorite rod and reel combination which prevents your fishing rods from spinning when under power. They also have plastic liner that protects the fishing equipment. Other than that, the construction is the same and you can upgrade the Grab Rail option to the Deluxe Backrest at anytime! Polyethylene Seat does not retain water so it will not feel like sitting on a wet towel. Pro Series Leaning Post seat has a stylish diamond tuck marine grade upholstery with a weight of 28 and 32 ounce for years of use. For mildew resistance, the vinyl and seat foam has been compounded with synthetic polymers to resist growth and unsightly fungal conditions. This is typically done in either the colorant or plasticizers providing years of protection. allows for equal distribution of forces providing a more robust product. Made with comfort and function in mind, the foot rest flips down for added support and up for more deck space. When in the up position, there is still plenty of clearance for under seat storage with optional fish/dry bag. Installation is easy with Velcro straps utilizing the seat structure tubes as the fastening support for this bag. The foot rest has a 400lb static centered load. The Pro Series Leaning Post is backed by a 5 year warranty. Every Pro Series T-top ships with 3M part number 5200 adhesive for installation and a storage pack that includes two beverage holders, two pole pockets, and a storage tote bag. In each box you will find swooping aerodynamic design side support structure legs that provide a modern look for today's boats with a pair of side standoffs for lateral strength. These side supports are part of a weight-bearing system, working in conjunction with the truss design on the canopy. The canopy's two tier truss structure means you will get more shade from the Pro Series than any other t-top on the market today. A down turned front promotes an aerodynamic canopy that is crowned left to right to support the two tier structure. Enhanced grab handles for better ergonomics were specifically chosen for strength and comfort in tube diameter. They are located even higher up on the side frame to provide better support as you navigate the water. All Bolts And Fasteners Are 316 Grade. Independently tested to ABYC H-31.10.2 Type A seat structure for recreational marine boats. Note correct labeling is required by installer for compliance. Constructed to ASTM G21 marine industry standards that is an antifungal test. It exposes materials to a 28 days outdoor elements fungal inoculum test. Upon first glance, Mate Series appears to be a regular run-of-the-mill cup holder, however, looks can be deceiving. Take a second look, and you will find that this cup holder doubles as a rod holder! The MateSeries solves two problems in one product. Install this Rod/Cup Holder Combo on your boat and you will always have a space for your fishing rod or beverage. Plenty of anglers have a similar experience of hooking a fish with drink in hand. These cup holders make it so you can quickly put your drink down and reel in your fish. A must-have for saving on deck space and is customizable with three angle or color options to best match your boat’s aesthetic. The MateSeries rod cup holders are customizable to fit each angler's individual needs. Lots of our customers will opt for a a variety of rod holder angles, depending on where they need to place their fishing rod. Since these rod cup holders are available in 0º , 15º , and 30º, you will have all angles covered from port to starboard. The right rod cup holder will depend on the location of your normal fishing spot. The ABS plastic option is a tad more budget friendly and will bode well in stiller waters. ABS plastic is going to be stronger than fiberglass or nylon, so it is the best economy material on the market. The Elite and Stainless are made of 316L stainless steel which will give you a little extra oomph when trying to hook a larger fish. 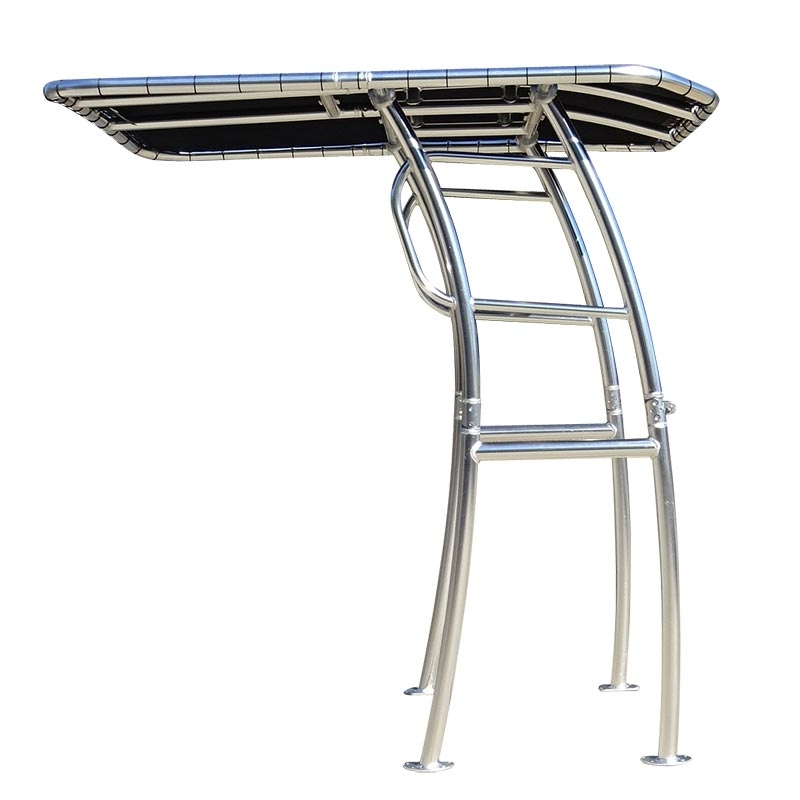 Stainless steel is a higher quality metal that can handle the sun and extra tension.